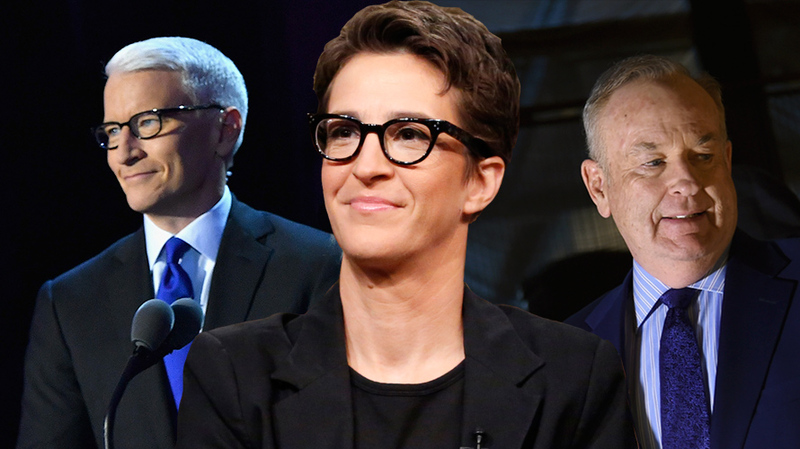 CNN, MSNBC and Fox News saw big audience lifts in 2016 thanks to the presidential election. News consumers—viewers who watch at least one minute of TV news each year—spent nearly an hour and half more each week watching cable TV news in 2016 than they did a year earlier, according to Nielsen’s new fourth-quarter 2016 Total Audience Report. 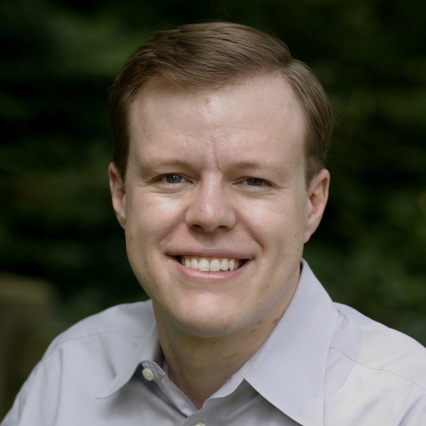 Every quarterly report focuses on a different set of consumer viewing habits, and the latest one looks at news consumption during last year’s presidential election, as Donald Trump and Hillary Clinton dominated the airwaves. 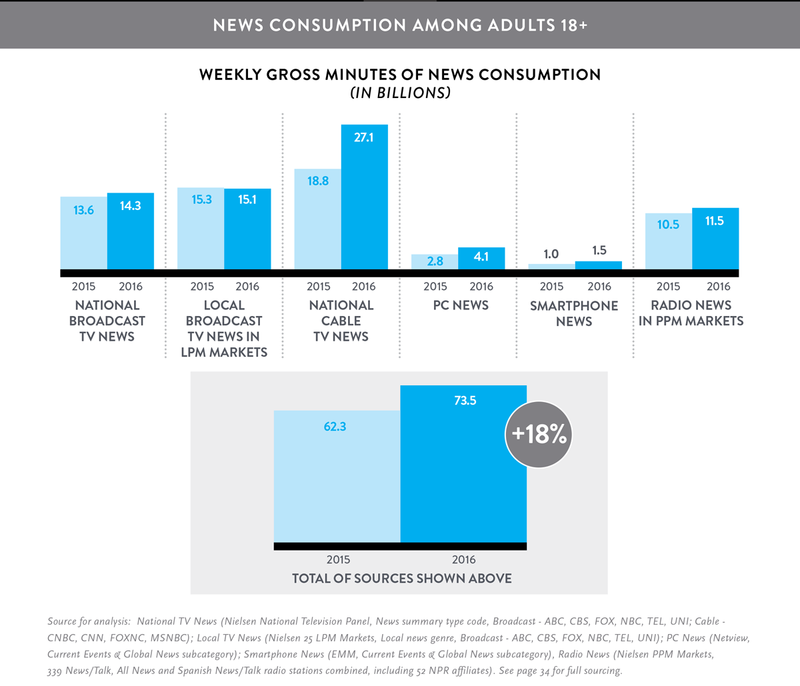 Nielsen found that adults spent more than 72.5 billion minutes on average consuming news overall each week in 2016, which is 11.2 billion minutes (and 18 percent) more than 2015. Much of that increase came from national cable news networks, which jumped from 18.8 billion minutes viewed each week in 2015 to 27.1 billion minutes weekly in 2016. News consumers spent an average of 6:28 (in hours:minutes) weekly watching national cable TV news last year, 85 minutes more than the 5:03 average in 2015, and one hour and 45 minutes more than during the 2012 election cycle. Meanwhile, the average weekly time watching national broadcast TV news increased just one minute year over year, from 2:06 in 2015 to 2:07 in 2016. Local TV news in local people meter (LPM) markets decreased year over year, from 4:30 to 4:27. The time spend consuming news via computers increased from 0:48 to 1:14, smartphone news consumption was up 0:18 to 0:22 and radio news in portable people meter (PPM) markets increased 5:11 to 5:25. In the demo breakdown among news consumers, weekly cable TV news consumption among adults 18-34 jumped from 1:42 to 2:36, adults 35-49 increased from 2:51 to 4:02, and adults 50 and up had the biggest spike, from 6:19 to 7:56. Nielsen broke down the news consumer numbers among different races, and found that Caucasians spent the most time watching national cable news each week (6:42), followed by African-Americans (6:39), Asian Americans (4:42) and Hispanics (4:02). 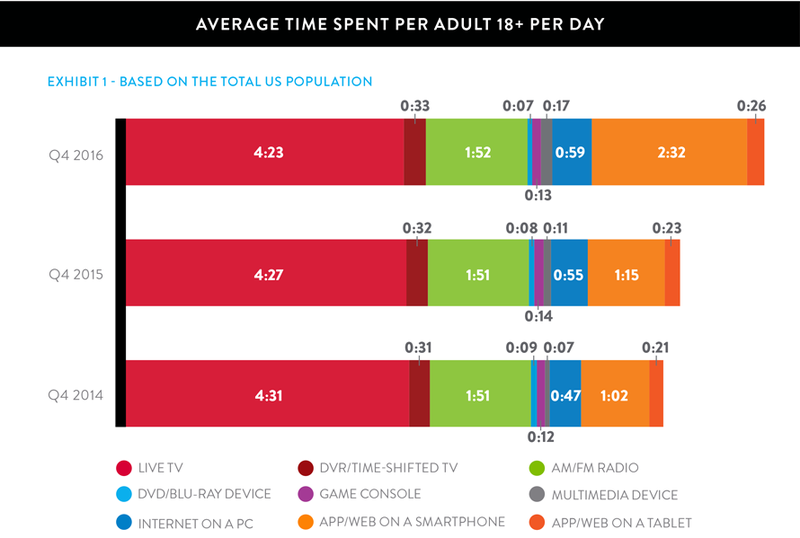 Elsewhere in the Q4 2016 Total Audience Report, Nielsen found that the average amount of time spent watching live TV each day continues its slow decline. Adults now spend 4:23 watching live TV each day, down four minutes year over year, and that 2016 number was four minutes less than fourth quarter of 2015. All of the year-over-year differences in time spent with the various devices were within six minutes of last year’s numbers, except for smartphone usage of web or applications, which increased 1:17 year over year, from 1:15 to 2:33. The full Q4 2016 Total Audience Report is available here.